Damn that Chris Anderson. He’s been talking for more than a year about the trend of services being priced for free, and now big companies like Coke are taking notice. Last night we recorded a podcast debate with the brilliant Joseph Jaffe, Bill Green and Bob Knorpp on tectonic shifts of disintermediation rocking the communications industry. Coke is going directly to marketing results, telling its agencies they must now work on a pay-for-performance model and risk having their fees cut if they don’t hit targets. The Current Network, a television project launched by Al Gore, undercut agency hunters by sending out an RFP for advertising work directly on Twitter. And the Chuck television show undercut Nielsen ratings via a groundswell of loyalists demanding the show be saved, tipping their hat to the advertiser Subway. 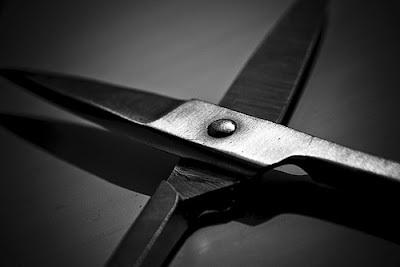 Cut, cut, cut. Suppliers and consumers finding each other more efficiently, squeezing the people in the middle who used to connect them. Chris Anderson, you’re taking all the joy out of business. Remember Yummy Mummy? Gunaxin has a nice ode to discontinued breakfast cereals, which reminds us of the current brand collapse going on inside consumers’ heads. Product brands today are under tremendous pressure to survive, and it’s not driven by companies like GM desperately seeking to cut back. The root cause is the decline in consumer consumption and the corresponding lack of interest in brand options. Decades ago Al Ries and Jack Trout wrote the brilliant book Positioning, explaining that consumers (even back in the 1970s) faced information overload and so defended themselves by creating little ladders of product consideration in their heads. If a person is only moderately interested in a product — say watches — she might be able to rattle off Casio, Timex, Swiss Army and Rolex. In her mind, she only has four rungs on the watch brand ladder. By comparison, a guy who loves watches might think of scores of brands: Accurist, Adriatica, Alpina, Aviator, Baume et Mercier, Bell & Ross, Breitling, Bulgari, Bulova … with lots more rungs in his head. The goal of brand managers is to grab a rung in that mental positioning ladder, and the classic strategy is to “position” your brand vs. someone else. If Hertz is No. 1 in car rentals, Avis tries harder. This positioning strategy was hot in the 1980s and early ’90s — think of the Coke vs. Pepsi wars or Wendy’s “Where’s the Beef?” — but has cooled off recently, with far fewer brands attacking others or deliberately taking position against a competitor’s attributes. It’s time to reconsider. As consumers retrench in this severe recession, their mental consideration set of potential consumption options is way down. There are fewer rungs in their heads. Someone may love Saabs, but what about Saturns and Pontiacs? And if some brands will fade from these mental ladders, shouldn’t you try to make sure it’s your competitor, and not you? The point for marketers is you now need to be aware, more than any time in the past two decades, of how your brand is positioned against other options. 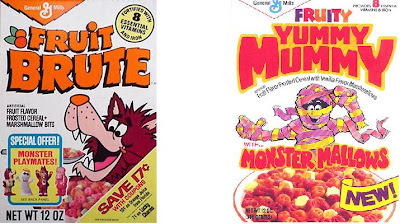 Consumers are backing away from the cereal aisle, and some sweet brands are about to get taken off the shelf. Via Make the Logo Bigger and Graham English. 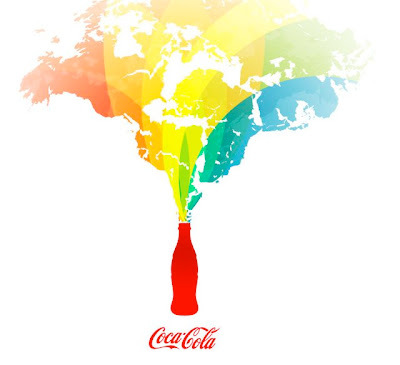 We just noticed Coca-Cola has reversed continental drift. Nice. Finally a simple way to educate our children about plate tectonics. Coke has vitamins. Bottled water doesn’t. Viagra is waiting for best offer. Back in 1886 when John Pemberton sold French Wine Coca as a cure for headaches and impotence, advertising was simple: He just ran a print ad in the Atlanta Journal. Pemberton’s Coca-Cola became an international powerhouse, but soda has been on the wane in recent years with the onset of sports drinks, green teas, herbal intoxicants and bottled water. So you have to wonder — why is Coke launching Diet Coke Plus, fortified with vitamins and minerals, now? 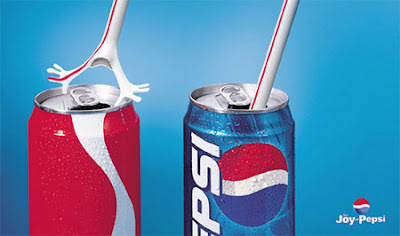 We mean, Coke has morphed through Pepsi Cola wars, sweetened formulas, cherry, vanilla, diet, caffeine-free, lemon, lime, even coffee-flavored versions. Someone somewhere along the line must have thought, dude! vitamins! — so why hasn’t it launched until today? Coke began testing the vitamin version in April 2007, and we think the timing was auspicious. Bottled water — the cleanest, purist drink of all — took a hit early last year with environmental concerns about petroleum-produced plastic bottles and the carbon-footprint shipping costs of getting your drink all the way from Fiji. We think Coke has held back on vitamin carbonation for a while, as the killer app to take on its $15 billion bottled water nemesis, until the timing was right. (No matter that Coke also sells bottled water under the Dasani brand, small point, don’t want to spoil this theory, besides, those internal product managers probably fight each other anyway.) So now, bottled water in a slump, the world has six Diet Coke brands, including one with 25% of your daily niacin and vitamins B6 and B12. Sociologists and dietitians may look back at 2007-08 and think, wow, that was the year consumers were most conflicted about caloric intake. They cut breaded carbs out and took artificial sugar-water with vitamins in. So what that carbonated drinks began as remedies for morphine addiction and substitutes for bubbly alcohol. Now soda cures sunlight deficiency and substitutes for orange juice. The lesson for marketers: When your competitors, even as pure as bottled water, get hit with bad PR and start to crumple, dig into your files and pull out the killer brand differentiator. It may not make sense, but it will grab you new shelf space. 1. Smirnoff skewers the North Pole with blueberries. 2. Coke’s web site saves polar bears. 3. BP extends envirobranding to carbon calculators. 4. Consumer groups get critical about green-washing ads. 5. Poland Springs promotes cheaper packaging as eco-friendly, easier-to-crush bottles. 6. Public accepts newspapers are shrinking by 3 inches. 7. 84 percent of Americans think the environment is a moral obligation. 8. McDonald’s installs dry urinals in Switzerland. 9. Apple will remove arsenic and other nasty stuff from computer products by the end of 2008. 10. Republicans for Environmental Protection propose … oh never mind. Make the Logo Bigger points out a sweet new Coke ad, tying the world together as one big happy family. At a long lunch table. Watch this spot and try not to feel an emotional tug at your heart. Somehow, this works in a way that most jingles and dancing hipsters can’t. So cliché, and yet so effective. 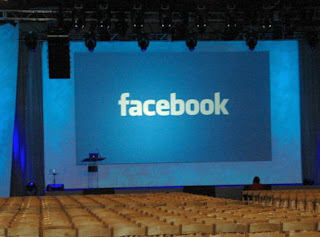 What if Facebook threw an ad party and nobody came? Facebook took it on the chin this week. The online social network launched a new advertising scheme on November 6 to much applause, because advertisers were champing to get at Facebook’s wildly growing user base — 20 million in April and up to 45 million in October. Last night, Facebook removed a key element of the program that could cost it billions of dollars in missed revenue. The heart of Facebook’s new advertising program was something called “Beacon,” a variation of its News Feed. News Feed sends a little post to all of your friends inside the Facebook system every time you update your home page, and has become extremely popular. The sense you get when you log in to Facebook is it becomes The New York Times of your personal life — you get an entire page of news that Sally bought a dog, Henry ran a 5k, and Johnny found a really cool video. Facebook News Feed makes you and your friends the center of the news universe. Beacon attempted to give advertisers a line into this News Feed, and tapped data about users from 44 sites partnering with Facebook. The targeting possibilities are wonderful, because users log in names, addresses, genders, ages, and even employers and job titles. The idea was Beacon would fire off a little email blurb to all your friends inside Facebook every time you bought something, so they’d get a “referral” of sorts that you like a certain product. 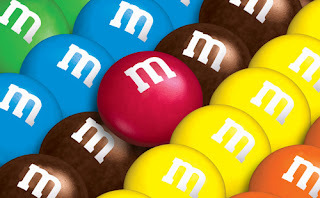 Advertisers loved this idea — virtual word of mouth! Automated! Among 45 million consumers! But big trouble came when Facebook launched it as an opt-out program for users, rather than an opt-in. Suddenly, if you bought underwear, every friend and business colleague you know on Facebook gets the news notice. Order a racy movie? Perhaps pharmaceuticals? Your boss, on his Facebook page, just got the update. More than 50,000 Facebook users filed complaints, so Facebook reversed course late last night and changed Beacon to an opt-in model. What’s missing from most news reports is this will strangle Facebook’s new advertising model — because Facebook just went from offering advertisers a universe of 45 million consumers to a universe of, oh, the few people who think telling buddies they just shopped for acne cream is a good idea. To put this in context, imagine what would happen to the direct mail industry if homeowners had to “opt in” to receiving unwanted junk mail. Hmm. Eddie Bauer might go broke. NYT says Coke is holding off on joining Beacon until it sees how the ad model shakes out. Media planners are going to have to understand exactly what audience we are getting before we tell clients Beacon is a bright idea. Here’s a thought for Saturday coffee. Researchers recently found that as language evolves, the words least likely to change are the ones used most frequently. We all know language transforms over time; this is why Spanish is slightly different from Italian, and why you may be comfortable using the word “got” while your stodgy parents still claim “have” is proper. But repeat words a lot, and we want to hang on to them. Call it the M&M effect. Language apparently evolved from one common tongue about 10,000 years ago, and the simplest words — used most often — still remain similar across the Indo-European spectrum. The word for “three” in English is “tres” in Spanish and “theen” in Hindi. Lots of our more colorful words describing body parts and functions are very close to ancient Chaucer, too, because we use them all the time (especially when mad, or in the mood). All of which makes us wonder: if frequency keeps words alive in our minds for centuries, then maybe frequency also leads to loyalty in brand communications. Maybe Talbots with its red postcards and BP with its yellow newspaper highlights have the right idea in running the same ad campaign year after year after year. Perhaps the trend of companies firing CMOs every two years, looking for someone smarter with a new solution, hurts their results since they never have a chance for consistency to develop. Today’s Santa Claus, all plump and red, started out as a thin saint, then miniature elf, but became firmly rooted in the public’s mind as a human-sized red-suited grandpa thanks to a series of Coca-Cola ads by Haddon Sundblom from 1931 to 1966. With all those frequent impressions, Santa’s doing fine. Hate to think what would happen to Christmas if some new agency updated Santa’s suit to Web 2.0 orange and blue. Please, Facebook, may we have some more? We’re awful hungry, Sir, and these new Facebook Ads you served us today, though quite delicious, we assure you, are a tad bit watered down and somewhat… unfulfilling. To speak the full truth, Sir, we are actually starving for a new idea! Yes, sir, that is a very nice social network you own. Magnificent! And we appreciate the chance to get our own product page with photos! and text! next to Victoria, Coca, Cola and Microsoft. But back to the matter at hand, Sir, you see, we wanted a revolutionary way to advertise to Facebook users, not just another web site within a web site. Even if you are cleaner than MySpace. Yes, the News Feed is nice, Sir. And we understand that we now can be friends with consumers and let them tell each other, yes!, when they’ve bought a book! But still… after months of anticipation… is that all? We do not believe that we are being too very greedy in requesting just a bit more brilliance from Facebook to keep Marketing alive, you see? What say you? Please, Sir, may we have some more? P.S. The behavioral targeted ads seem slightly fulfilling, Sir, but haven’t we seen those before?